There is something very special about the bond that occurs between humans and horses. Horse people understand this and often want to include their equine friends in some way at their wedding celebration. 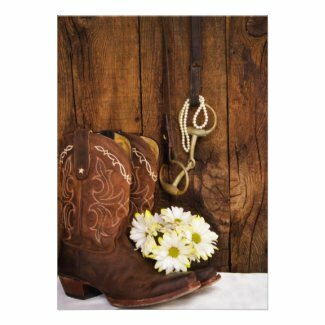 Whether it's riding into the ceremony on your own horse, or having your reception amid lush green rolling pastures, a couple who loves horses will want to continue that theme with their wedding invitations. 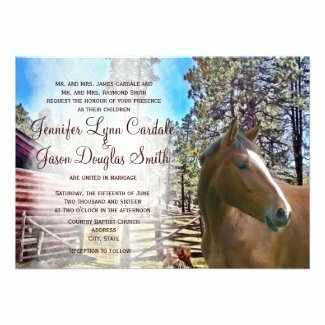 Below you will find many beautifully illustrated horse and equestrian themed wedding invitations and Save the Date cards. Each are available in a wide variety of paper types and shapes including ticket style, rounded corners, scalloped edges and more. Be sure to check for the latest discount coupon codes.